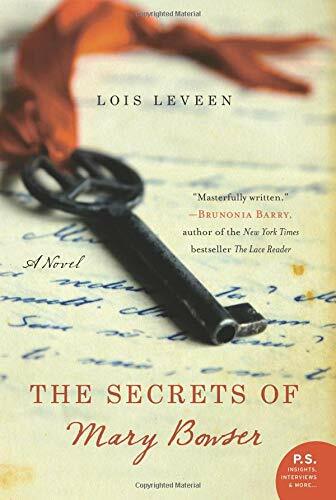 The Secrets of Mary Bowser imagines the life of a former slave, freed and educated in the North, who returns to Richmond right before the Civil War as a spy for the Union. I ran across the book as a Kindle Daily Deal, and I had to admit that the premise intrigued me especially since it was based on the life of a real woman. The first and second parts of the book chronicle Mary's life as a slave and as a freewoman gaining an education in Philadelphia. I found both a bit slow, but was fascinated by the description of the life of free blacks in the north and their interaction with white society. The story really picked up when Mary moves back to Richmond to spy for the north. Leveen's account includes richly drawn characters living through a treacherous time for all. I found Leveen's arguments among the characters most enlightening as each struggled to define what it meant to be pro-Union and anti-slavery in a place where being both could be fatal.